Drama Re-issue of Werner Herzog's 1974 classic, based on actual events. 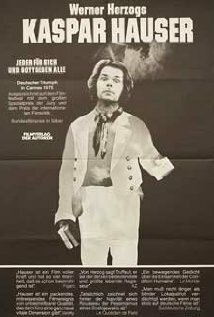 A mysterious young man by the name of Kaspar Hauser suddenly appears in 19th century Nuremberg, unable to speak or, indeed to walk. Kindly professor Daumer takes the boy in and learns that Kaspar has been raised since birth in a dungeon. Intrigued by the case, Daumer attempts to reintroduce Kaspar back into polite society. The Enigma Of Kaspar Hauser is not currently showing anywhere.